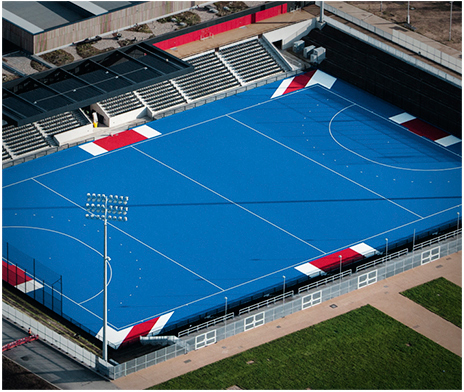 Where is the Unibet EuroHockey Championships 2015 being held ? Hosted at the Lee Valley Hockey and Tennis Centre on Queen Elizabeth Olympic Park, the venue is a legacy venue to continue the spirit of the amazing London 2012 Olympic Games, where Great Britain women won bronze. It also played host to the Paralympic Tennis tournament during the 2012 Paralympic Games, and the surrounding park area will be turned into a Hockey Fan Park – there’ll be excitement for fans of all ages. What is the EuroHockey Championships? An international men’s and women’s hockey competition, it is organised by the EHF (European Hockey Federation) and has been around since 1970. The Championships see the top eight European national men’s and women’s teams battle it out for the top prize over 40 matches brimming with national pride. There are two groups with the top two teams going into the semi-finals before a grand final – you won’t want to miss it! Tweet, post on Facebook, buy a ticket, make a banner, and come down to the Lee Valley Hockey and Tennis Centre to make as much noise as you can for your country! Hosts England’s young squads are regularly winning medals and will be looking to put on a great show for the home support. If you want to play or watch hockey before then, find out what’s going on in your area. How do I get tickets for the Unibet EuroHockey Championships 2015 ? Tickets are now on sale, and you can sign up to our Newsletter and you can be among the first to hear about tickets, events and more! Read the lowdown on the teams competing, and who the favourites are! See the full tournament schedule and format.